Thank you all for joining the Gaston Radio Club for our 2nd annual field day event. We had a great turnout of volunteers and visitors from the surrounding area. We would like to extend a special thank you to Hound's Drive-In of Kings Mountain for being so welcoming and allowing us to establish our command center onsite. We at GRC would also like to thank our sponsors Tony's Ice-cream, Ole Carolina BBQ, Black’s BBQ, Harris Teeter and Choice USA Beverage for helping make field day possible for us. Thank you again for your continued support. We look forward to see you again next year. Thank you all for joining the Gaston Radio Club for our 3nd annual field day event. We had a great turnout of volunteers and visitors from the surrounding area. We would like to extend a special thank you to Chef Sebastian Wells and the owner, Kevin and Denise Jonas of Nellie's Southern Kitchen in Belmont for donating the food for our event. We would also like to thank Zion Baptist Church for their support and allowing us to use their property to host our field day. Thank you again for your continued support. We look forward to see you again next year. 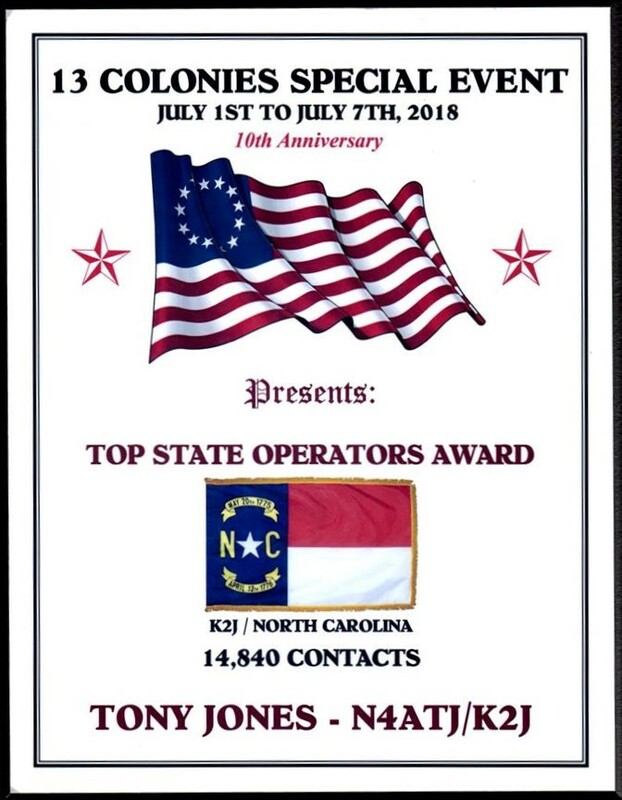 Two members of our club, Robert E Wells Jr W7CSA and Tony Jones N4ATJ, participated in the annual 13 Colonies Special Event. 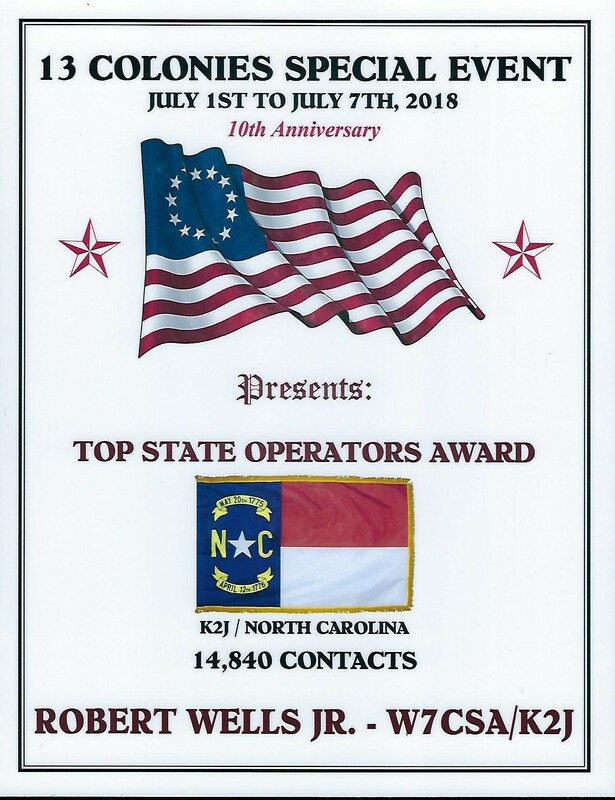 North Carolina was able to accumulate more contacts than any of the other 13 Colonies. 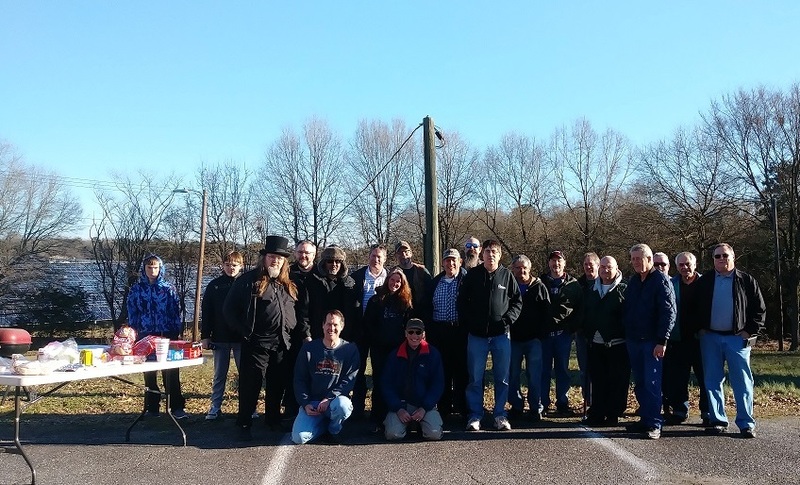 Thank you all for joining the Gaston Radio Club for our first Winter Field Day event. This event was a hudge success. We had around 35 people show up for our first Winter Field Day We had a great turnout of volunteers and visitors from the surrounding area. We would like to extend a special thank you to Zion Baptist Church for allowing us to use their property Thank you again for your continued support. We look forward to see you again next year.